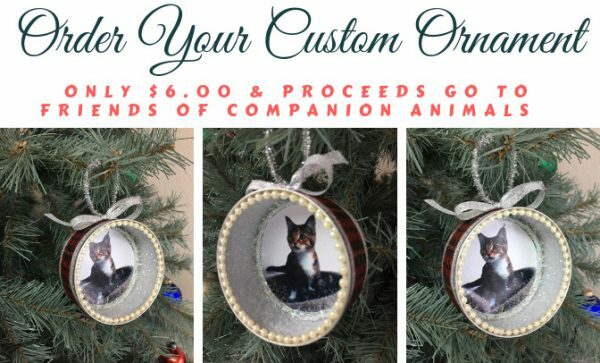 Buy handmade pet ornaments created by Friends of Companion Animals volunteers where every ornament is original so the one you receive may look different from the one shown here. Priced at just $6, all profits go to support the felines in our care. 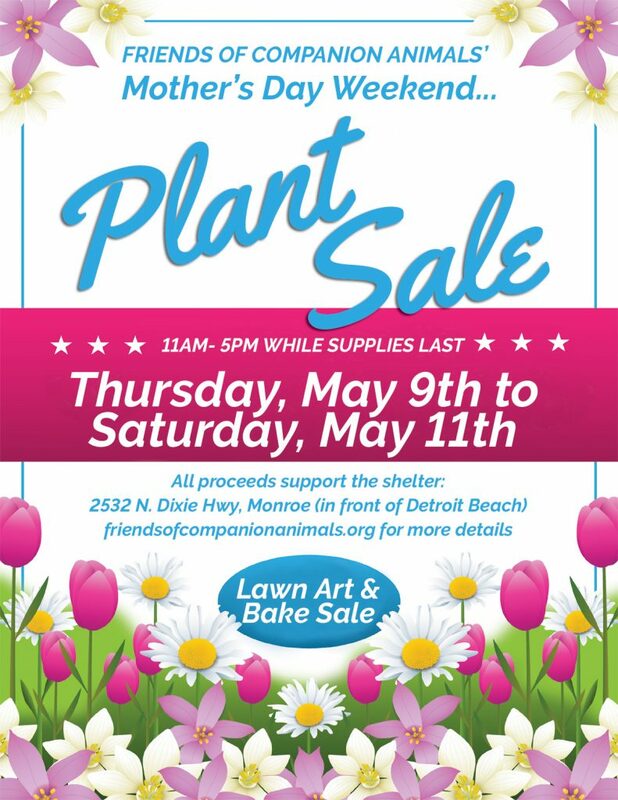 Just check out and then e-mail your picture (preferably clear and a high resolution photo) to us at friendsofcompanionanimals2013@gmail.com. We’ll email you when it’s ready for pickup at our center located at 2532 N. Dixie Hwy. in Monroe, MI. Pet Image: Send to friendsofcompanionanimals2013@gmail.com after placing your order. Celebrate the holidays with a handmade ornaments created by Friends of Companion Animals volunteers. For only six dollars you can have your pet commemorated on the keepsake you’ll enjoy for years. And yes, dogs and other animals are welcome too. Please note: every ornament is original so the one you receive may look different from the one shown here, but that’s part of the fun! You won’t know what pleasant surprise awaits you until you see it! To order one of these custom ornaments for you or any other animal lover, make your purchase and then e-mail your picture (preferably clear and a high resolution photo) to us at friendsofcompanionanimals2013@gmail.com. We’ll let you know when your order is ready for pickup. It’s that simple and you’d be helping a great cause since all profits go to support the felines in our care.